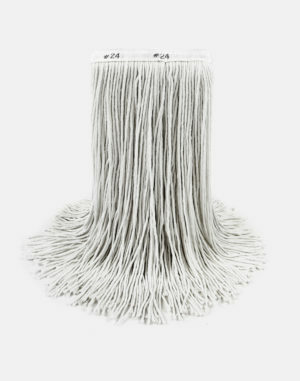 4-ply rayon looped end yarn provides for a clean, white appearance while providing excellent pickup and release with no break-in. 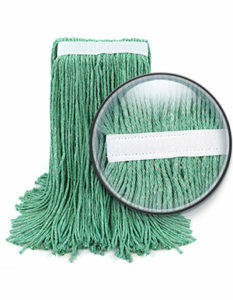 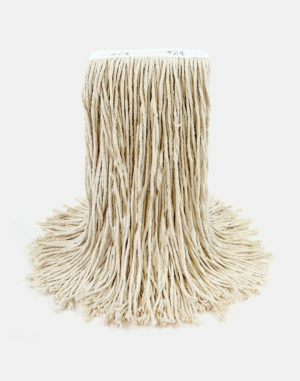 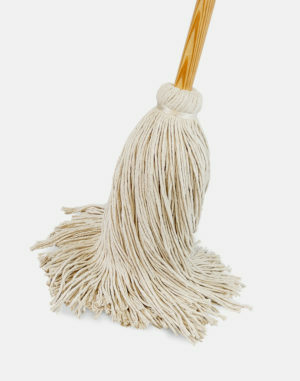 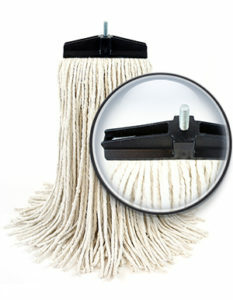 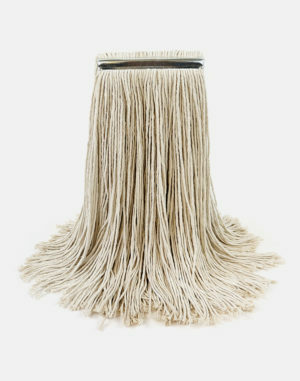 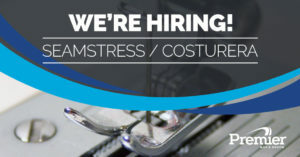 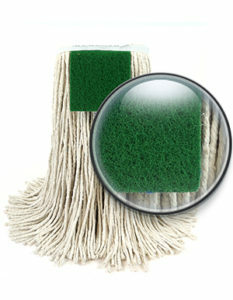 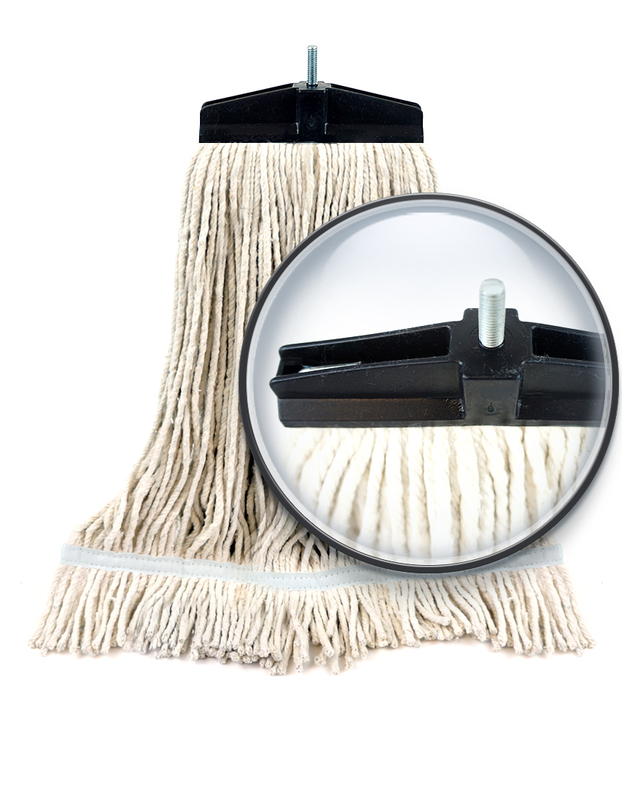 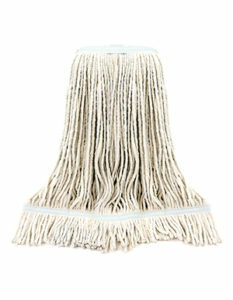 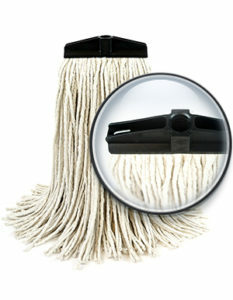 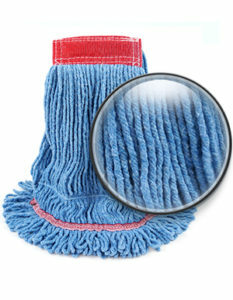 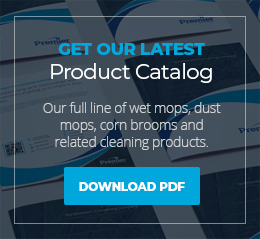 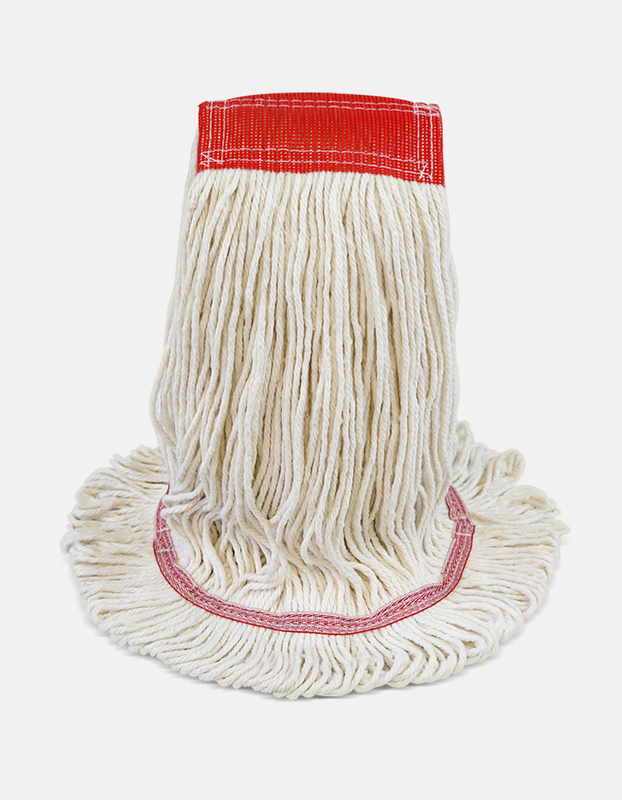 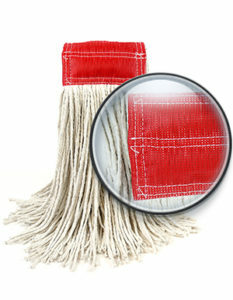 Tailbands prevent tangling and allow for fast, even damp mopping and floor finish applications. 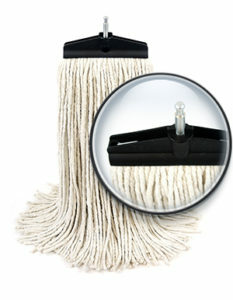 Works well for applying floor finish!